The ongoing row over Ealing's waste and recycling contract has taken a new twist after it's been revealed the auditors have been called in. Opposition Councillors have already expressed their unhappiness after the authority's biggest spend - which is thought to be worth more than £15 million pounds - was re-negotiated behind closed doors. They say the deep cleaning of a large number of Ealing's parks has been downgraded - but the list of exact locations hasn't been made public. 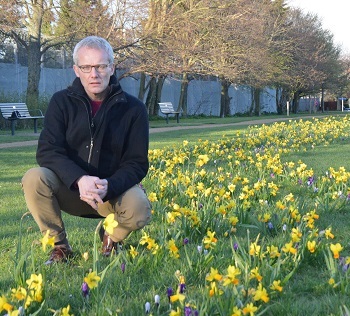 Conservative and Liberal Democrats fear the parks will deteriorate - Ealing Council has said this won't be the case. Now the Conservatives have called in the council's auditors, KPMG, to investigate what they claim are 'serious flaws' in the changes to the contract, which covers waste collection, recycling, street cleaning and parks maintenance. Conservative Opposition Leader, Councillor David Millican said:“Ealing’s Labour Council has agreed to downgrade the maintenance, including cleaning of more than 80 parks, without any financial saving to Ealing’s taxpayers, by still paying Enterprise the same fees. The list of parks to be downgraded, has still not been announced. In addition, the Labour Administration cowardly passed the buck to Council officers to make these changes. I have written to the Council’s auditors on both counts, as this is clearly unacceptable. Cabinet member for Environment and Transport Councillor Bassam Mahfouz has responded: '' This political stunt is just a smokescreen from the Conservatives as they don't want to talk about their plans for the borough which involve millions of pounds worth of cuts to local services. ''They know that their complaint is completely groundless and will be dismissed by the auditor in a few months time. This is just a cynical ploy to give the appearance of action from a Conservative group that has run out of ideas. They know that the changes we have made to the waste contract will make the borough cleaner and deliver a higher standard of cleaning in our parks than we had under the Tories.